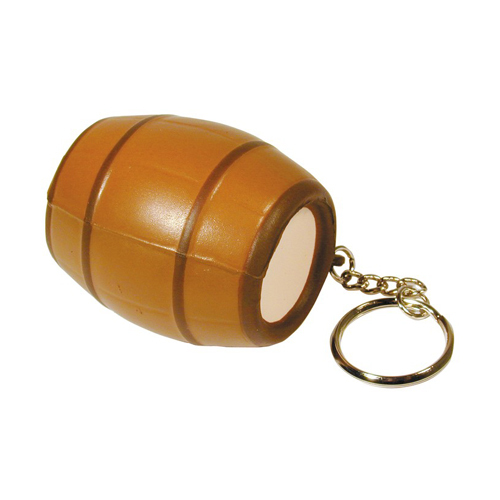 This barrel shaped stress reliever key ring will be a barrel of fun for your next promotional event! Ideal for any company, this unique stress reliever will keep you staying afloat above the competition. Customers can keep these on their key chain, book bag, or tote bag and show off your logo to the world! Products are not intended for use by children or pets. They may present a choking hazard to children under 3 years of age. Item Size : 1.75" X 2"
Imprint Area : 1.5" x 1.5"